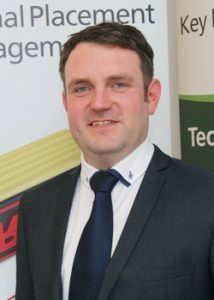 Tom is a qualified design engineer and worked in the industry as a design engineer liaising with architects, civil structural, building services, process and construction personnel on hi-tech industrial projects for the pharmaceutical and life science industries and commercial mixed-use projects for 6 years prior to moving into recruitment over 20 years ago. Tom is an engineer, recruiting for engineers and is very knowledgeable in a number of disciplines including architectural, building services, process and construction for commercial mixed use and hi-tech industrial projects. When Tom moved into the recruitment industry he knew it was the right move as he found it challenging and rewarding. This in turn made him pursue this career with a dedicated passion. 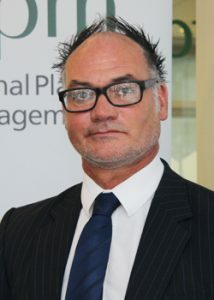 He went on to obtain third level HR Management and Business Management qualifications while working full time. Tom went on to run one of the most successful engineering and construction recruitment companies in Ireland before he helped prepare it for a successful acquisition. Tom then set up kppm in late 2009 building the kppm team along the way handpicking each of his team for their passion, commitment and industry knowledge. Tom specialises in large volume contract for services roles placing and managing large numbers of contract staff on design, engineering and construction projects and for the pharmaceutical and life science industries. 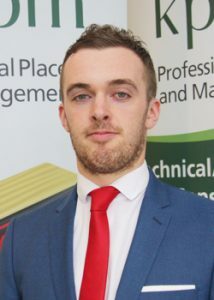 Tom also specialises in placing candidates in hard to fill key staff roles with his clients as well as operations management and business development for kppm. Tracey is a Senior Recruitment Consultant and joined kppm in 2010. Tracey holds a CIPD qualification in Human Resources and has organically progressed from an Engineering background into her current role as a Senior Consultant. 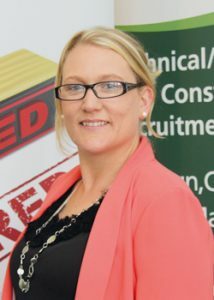 Tracey Specialises in Building Services and Construction, placing majority of candidates in this area, but also recruits across all sectors including Architectural, Civil Structural, Hi-tech Industrial projects for the Pharmaceutical and Life Science industries on both a permanent and contract basis. During the course of her career in recruitment Tracey has placed many Engineers, Project Managers and Construction staff on well-known projects with all the leading Engineering and Construction companies; making sure to service and satisfy both Client and Candidate’s exact needs. Tracey takes great pride in her performance and the quality of her work. Tracey will commit herself to placing the right candidates to the right opportunities with her clients, and making sure candidates and clients are dealt with in a professional manner and all their needs met. Paul graduated with a BSc Degree in Information Technology from Waterford Institute of Technology in 2005. Upon graduation he worked in the Pharmaceutical and Engineering sector as a Validation Engineer and Project Manager with a Mechanical & Electrical Engineering Consultancy for 4 years. Paul then completed an Advanced Diploma in Web Development from Dublin Business School in 2010 and an MSc in Management from UCD Michael Smurfit Graduate Business School in 2011 which equipped him with the relevant tools and analytical skills required to succeed in business today. Paul worked in UCD, Ireland’s Largest University for 5 years and successfully managed various projects, people, and budgets. He has strong project management experience in the Pharmaceutical, Engineering, IT and Higher Education sectors. Paul joined kppm in 2015 as a Consultant in Engineering & Construction and was promoted to Senior Consultant and specialises in Pharmaceutical and Science sector including: Pharmaceutical, Biopharmaceutical, Medical Devices and Life Sciences. 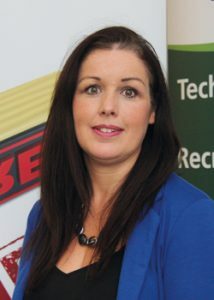 Catherine O’ Brien started her career as an Engineering Recruitment Administrator working with Tom Doyle 17 years ago. Catherine then moved into the accounts Department of a busy Engineering Recruitment Company and was based there for 10 years. Catherine has predominately worked on Payroll, Employment Contract, Timesheets / invoices and payments. Catherine joined the kppm team in April 2014 and has worked mainly on Employment contracts, Timesheets / Expenses / Invoices. During her time with kppm she has built up great relationships with both clients and candidates alike. Catherine is currently studying for an Accounts Technician Qualification and she also holds qualifications in Payroll Management and a Diploma in Employment Law. Eoin graduated from IADT Dun Laoghaire with a Bachelor of Business in Entrepreneurship where he gained great experience in hands-on business experience as well as igniting a passion for Finance and Accounting. Eoin also worked in the Public Sector during his studies where he got the opportunity to develop his financial planning and accountancy skills in tandem with his learning. He has been working with kppm since January 2016 alongside the senior recruitment team and is hoping to develop his passion for Finance/Accounting into a new area of operation for kppm. In his spare time Eoin enjoys running and has completed the Dublin City Marathon and Half Marathon and hopes to take on a Triathlon in the coming months. He also enjoys reading, hiking and studying the financial markets when he is not busy in the kppm office. He is a keen follower of the Irish Rugby and Football teams as well as his beloved Wexford in both codes of GAA.